Oh good lord no. I guess it gives me faith that a girl like her can be called "stunning" then I must be gorgeous. The reason you boys think she is pretty is because the camera never zoomed in to her face. If it did you would start running the other way. And that dress accentuated her curves but hid her hideous legs. can't be too picky...unlike yourself. She doesn't look that great on google though tbh. I think kate winshands down. 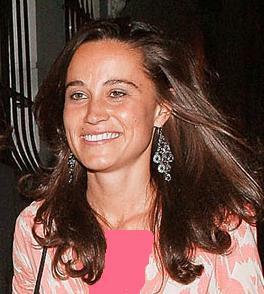 Pippa isn't even fit IMO. Kate and Pippa in the throne room with a double ender. Various newspapers are talking about Pippa as "Her Royal Hotness" etc and that she stole the show. I must admit she does look like Worzel Gummidge with a piano keyboard in her mouth. She is ugly, I wouldn't let her make my sandwiches for fear she'd turn them into something repulsive. She looks like something that turns everything touched into ugliness.